Summer is just around the corner and with it comes a whole new crop of beauty items. While summer is a great time for fashion, beauty and getting a great tan, it can also create some problems for your beauty regimen. And if you are on vacation you may not have access to your full compliment of beauty tools to fix any problems that crop up on you. But don't fear, there are several summer beauty hacks that can keep you looking your best all summer long! Keeping cool and avoiding sunburn are two goals when spending time at the beach this summer. To give your body instant relief from the heat, make sure to pack your sunscreen in your cooler around lots of ice. The cold sunscreen will feel amazing. You can also make little aloe ice cubes the night before to use on any bits of skin that don't get sunscreen. If you are traveling on vacation bring an extra toothbrush to deal with hair problems. Frizzy hair can be touched-up with a spray of hairspray on a toothbrush. Run the brush along the hairline in gentle strokes and part to get stray hairs back into place. Exfoliating can be difficult if you can't run to the beauty salon whenever you want. Oh great way to smooth out your feet is by using a potato. All you have to do is cut a potato in half and rub some coarse sea salt into the potato. Then use it to scrub the sides and bottoms of your feet for smooth skin! Summer is time to be outside. 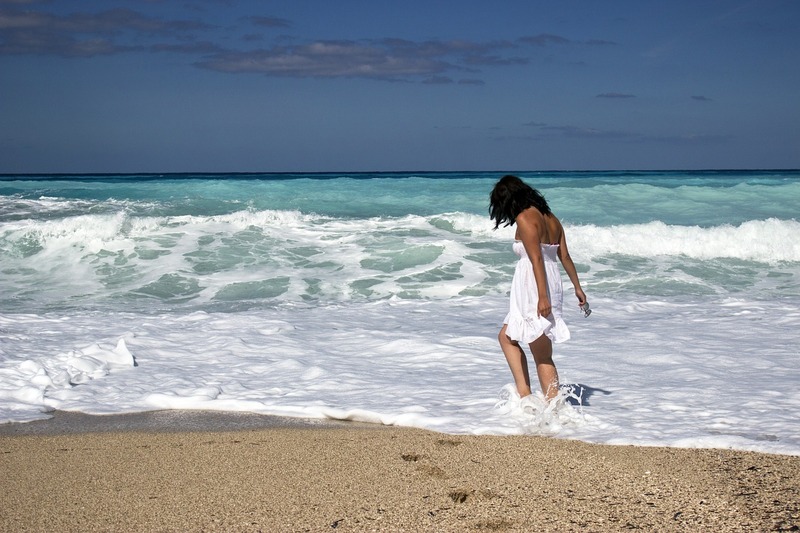 If you spend a lot of time outdoors you know the damage the summer sun and sea salt can do to the color of your hair. Before you go outside spritz your hair with some apple cider vinegar. The vinegar will offer protection against the harsh UV rays of the sun as well as any other sand or sea water that gets into your hair. If you are blonde, olive oil also works well to keep your color intact outside. When we think of dry skin, we usually think of the harsh winter months, when dew points make the air very dry. However if you are working on a tan, don't forget to re-hydrate your skin after you shower. Even if you don't have a sunburn, you want to moisturize your skin after spending all day outside. Also don't forget some lip-gloss that offers protection against the sun. These are a few of our favorite summer hacks! Do you have your own? Comment here to share them with our reads, or head over to our Facebook page and let us know your thoughts!